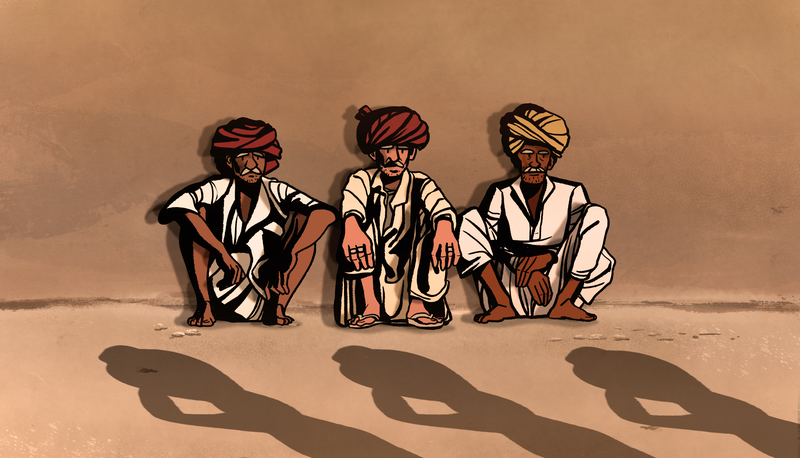 Nucco Brain created an animated short story for WaterAid, highlighting the vital importance of water in the lives of rural Indian women. WaterAid is a non-profit organisation whose mission is to find sustainable solutions to water-related issues in the poorest communities around the world, providing people with clean water, safe sanitation and hygiene education. They approached our creative team with a fascinating brief. We were to work with the renowned Indian filmmaker and author, Shekhar Kapur, to turn his short story ‘Brides of the Well’ into a shortchanged animated film, bringing to the fore the precious nature of water in rural India.